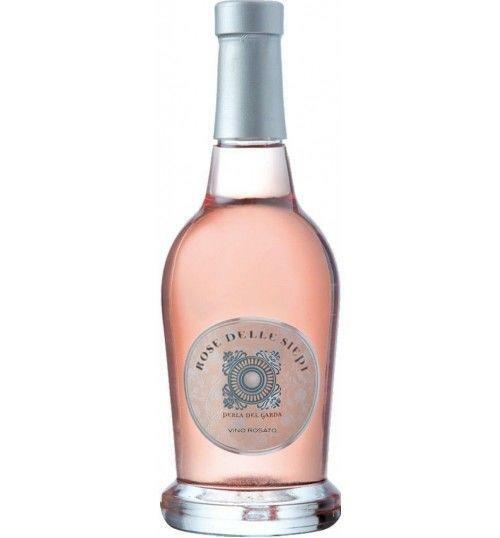 THE WINE Rose delle Siepi of Perla del Garda is a unique rosé wine for freshness and fruity. Wine clear and brilliant old rose color. 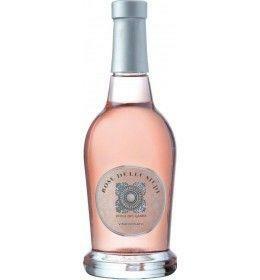 Delicate and fragrant floral and fruity scents, strawberry and cherry in particular. Delicate, fresh and slightly aromatic, with a long finish. THE COMPANY The history of our family is embedded with the passion for the land and its fruits. A farming tradition that has been passed down from generation to generation, at the foot of the Garda Lake, through the work and dedication of those who gave their own contribution to “Made in Italy”. The wines we produce, each with its own character and soul, are the stories of those people, whose commitment and originality in the vineyard and winery, make each bottle a unique experience. Vineyard Perla del Garda is the evolution of an ambitious idea of bringing the vineyards back to the morainic hills of our farmlands. Ancient prints and cadastral maps bear witness to a tradition which recognizes the vine growing and wine production in this stony, arid soil. The logic of our production is based on the fundamental principle that wine making begins in the vineyard, abandoning pre-established schedules and taking into account the climatic conditions of each year, according to the heed and wisdom of our family tradition. Harvesting of the grapes by hand between August and November and the gravity flow technique of wine making, are the two mainstays of our production method. The decision to certify the production chain is an act of transparency and honesty towards the consumer. Since the beginning of 2013 we have been verifying the possibility of producing healthy and consistent organic grapes with the quality we seek in our wines. Our vineyards stretch out over approximately 30 hectares just south of Garda Lake, along the road dedicated to the Virgin “Madonna della Scoperta”, between Desenzano and Sirmione. Our work began in 2000, observing the soil characteristics and the microclimate of the morainic hills, south of the lake. With this vision, we began to select the vine shoots, decide the number of plants per hectare and select the cultivation method. Our white wines are made from Trebbiano di Lugana, Chardonnay, Sauvignon, Riesling and Incrocio Manzoni varietals, while the red wines are made from Rebo, Merlot, Cabernet Franc and Sauvignon grapes. Harvesting is exclusively by hand, selecting the bunches and placing them in small boxes that are swiftly dispatched to the winery, which lies in the middle of the vineyards. The maximum distance between the vines and the vinification area is 1,000 meters. Winery “Perla del Garda” is a multi-level winery inspired by and created second the gravity flow wine making philosophy. On the top level, where the bunches of grapes are delivered, a careful selection takes place, following which the red wine grapes are destemmed and the white wine grapes are gently vacuum pressed. The red wine grapes and the white wine must then flow by gravity into steel tanks located on the middle level where temperature controlled fermentation begins. Once the desired result has been obtained, the wine flows down to the bottom level, filling the tanks and casks in the cellar, where fermentation proceeds and refining is carried out in steel or in wooden casks. Our “Bollicine” sparkling wines are obtained using the traditional method of re-fermentation in the bottle, which takes place exclusively in Magnums. We’ve always paid attention to environmental and social sustainability issues. The strong relation with land and the awareness that the best products come from quality raw materials, are the base of our engagement in landscape and vineyards protection. The infrastructure and processes implemented in the winery comply with sustainability principles, in coherence with international standards and models. The winery is a research and innovation place where we usually meet schools, wine-lovers associations – professionals or not, social organization and disadvantage people involved into social reinsertion programs. 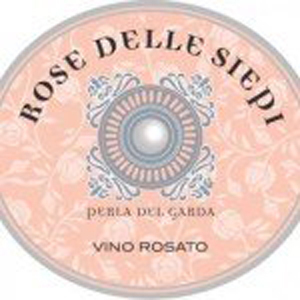 Rose delle Siepi of Perla del Garda is a unique rosé wine for freshness and fruity. Wine clear and brilliant old rose color. Delicate and fragrant floral and fruity scents, strawberry and cherry in particular. Delicate, fresh and slightly aromatic, with a long finish.